Give the gift of a new priest, sister, or brother to the Catholic Church! is your calling to the priesthood or religious life blocked by student loans? You can deliver priests, sisters, and brothers to the Catholic Church! Is student debt preventing your candidates from entering formation? Leave a Legacy of Priests, Sisters, and Brothers to the Catholic Church! Secure your legacy for the people and causes you love today. Include Labouré in Your Will! Labouré’s mission is to rescue Catholic religious vocations from the barrier of student loan debt. Will you join us in rescuing vocations? …I greatly desire to spread the kingdom of God in imitation of the beautiful and simple way of the Holy Family. …I am willing to go wherever the Holy Spirit leads me to proclaim the Gospel by ‘all ways and means’ necessary. …I fell in love with the man who died for me. I fell in love with Jesus. “Those of us given the blessing of material gifts are called to share those gifts with others and there are many opportunities to do so. In the Gospel, at the the anointing at Bethany, a woman comes with an alabaster jar of perfumed oil, breaks the jar, and pours it on Our Lord’s head. There were those present who thought it to be a waste. However, she gave it all without reservation. Those who enter into a religious vocation give completely of themselves and in the eyes of the world this can appear to be foolish or even a waste. A gift to the Labouré Society changes the direction of a life because it helps a person realize a dream that God has placed directly on their hearts. We were honored to have met Toni Garrett (Sister Josephine) and to have been able to help her realize this dream. We would encourage anyone of means to examine their gifts and help others realize their own dreams. 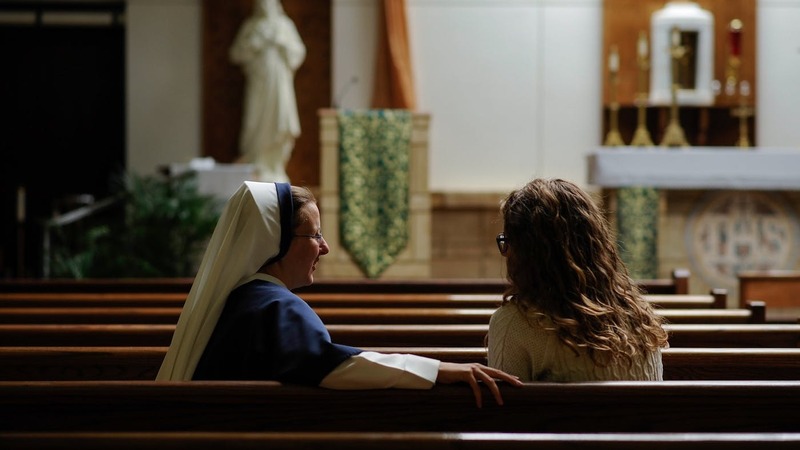 RITA AND LAMAR HUNT, JR.
Women (ages 19 – 45) who are discerning a religious vocation are invited to come experience the life and charism of the Dominican Sisters of Hawthorne. Those attending join in our community prayers, witness our apostolate and meet some of our sisters. Reservations are required. An opportunity for Catholic men between the ages 18 to 45 years to dicern how God is calling them while participating in the monastic life at St. Procopius Abbey. During the retreat, presentations are given about the Benedictine monastic life and there are opportunities for discussions and questions, silent prayer, reading and reflection. Want to stay informed about Labouré's mission to rescue vocations?